Happy 4th of July! What better way to celebrate than with a meal like above? The above ad was found while perusing the Period Paper Storefront from the other day. 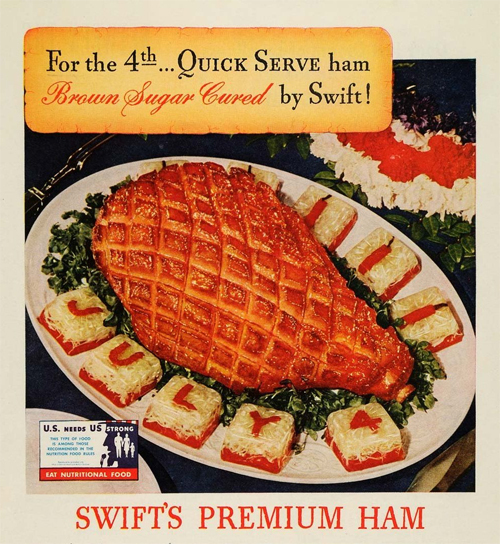 Be sure to check out the whole 1942 Ad July 4th Quick Ready Serve Swifts Premium Ham – Original Print Ad . Perfect for your kitchen décor any time of year. Yum!